Inspect and assemble clean pump kit. If your tubing is moldy, discard and replace immediately. Clean pump dials, power switch, and countertop with disinfectant wipes, especially if using a shared pump. Clean pumping area, especially if using a shared pump. Clean the dials, power switch, and countertop with disinfectant wipes. 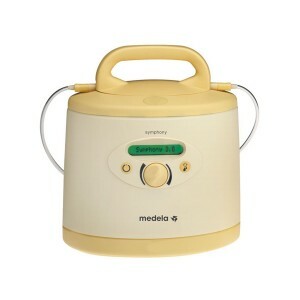 Take apart breast pump tubing and separate all parts that come in contact with breast/breast milk. 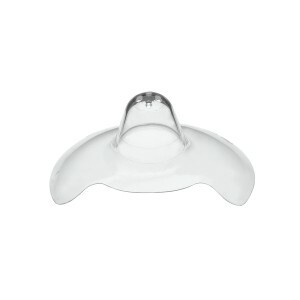 Rinse breast pump parts that come into contact with breast/breast milk by holding under running water to remove remaining milk. Do not place parts in sink to rinse. 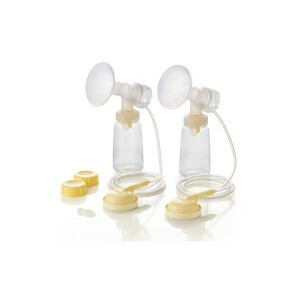 Clean pump parts that come into contact with breast/breast milk as soon as possible after pumping. You can clean your pump parts in a dishwasheror by hand in a wash basin used only for cleaning the pump kit and infant feeding items. Place pump parts in a clean wash basin used only for infant feeding items. Do not place pump parts directly in the sink! Add soap and hot water to basin. 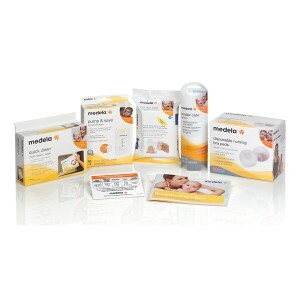 Scrub items using a clean brush used only for infant feeding items. Rinse by holding items under running water, or by submerging in fresh water in a separate basin. Air-dry thoroughly. Place pump parts, wash basin, and bottle brush on a clean, unused dish towel or paper towel in an area protected from dirt and dust. Do not use a dish towel to rub or pat items dry! Clean wash basin and bottle brush. Rinse them well and allow them to air-dry after each use. Wash them by hand or in a dishwasher at least every few days. Clean pump parts in a dishwasher, if they are dishwasher-safe. Be sure to place small items into a closed-top basket or mesh laundry bag. Add soap and, if possible, run the dishwasher using hot water and a heated drying cycle (or sanitizing setting). Remove from dishwasher with clean hands. If items are not completely dry, place items on a clean, unused dish towel or paper towel to air-dry thoroughly before storing. Do not use a dish towel to rub or pat items dry! For extra germ removal, sanitize pump parts, wash basin, and bottle brush at least once daily after they have been cleaned. Items can be sanitized using steam, boiling water, or a dishwasher with a sanitize setting. Sanitizing is especially important if your baby is less than 3 months old, was born prematurely, or has a weakened immune system due to illness or medical treatment. Store dry items safely until needed. tems must be completely dry to help prevent germs and mold from growing. Store dry items in a clean, protected area.